‘How to’ Make This Ham Dog / Hot Burger Monstrosity! So is it a ham dog? A hot burger? Or just a monstrosity? How ’bout all of the above? The how to? 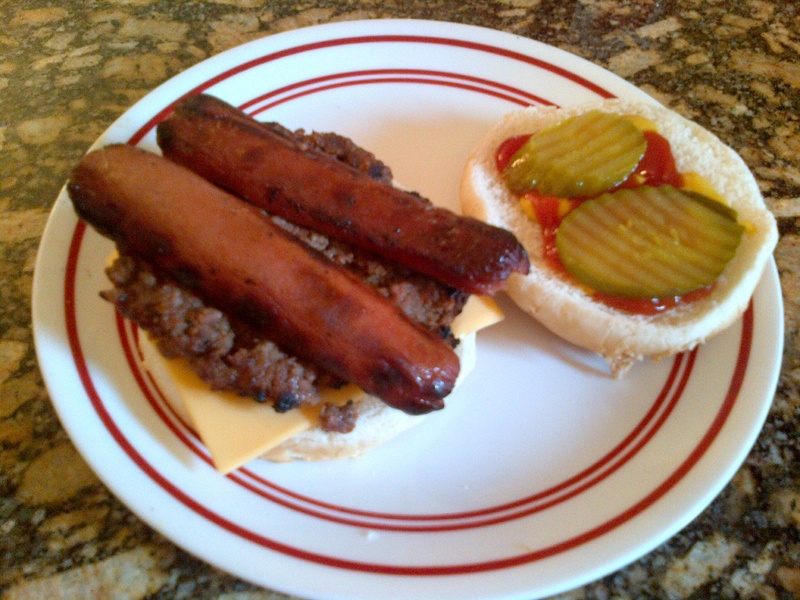 Slice a grilled hot dog in half lengthwise and lay it across a grilled hamburger, resting on a bun. Dress to taste. Done. Redeeming value? Umm, well … it’s low carb! And it’s delicious — kinda resembles a bacon burger. ~ by Random Handyman on June 4, 2014.